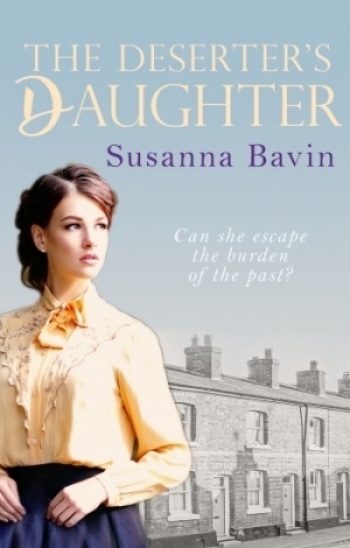 Well, there's less than a week to go now until The Deserter's Daughter is published. This time last year I didn't yet have a literary agent. In fact, it was during this week last year that Laura Longrigg finished reading my full MS and sent me the email that every unpublished writer hopes to receive, saying that she had enjoyed my book hugely and would it be possible to meet up..? Just when I thought that all the wonderful pre-publication moments had happened, along came another. The first draft of The Deserter's Daughter was written some years ago and was submitted to the RNA's New Writers Scheme. If you're unfamiliar with that, it is a process through which unpublished writers can submit a novel for a critique by a published writer. The critiques are written anonymously, so generally speaking you never get to know who your reader was. The reader of The Deserter's Daughter sent me a glowing and generous report. I was able to send her (I assumed it was a her) a thank you card via the organiser, but of course I've always wondered who she was. Well, today I found out. And she told me (yes, it was a she) that The Deserter's Daughter was the best NWS submission she had ever read. Wow! Is that wonderful? And happening this week of all weeks, it feels like The Deserter's Daughter has come full circle. Thanks for commenting, Wendy. I never expected to find out who my reader was and if I see you at the RNA Conference this summer, I'll tell you how it came about. You'll be amazed at what a small world it is! How lovely to find out who your NWS reader was. Mine was excellent and had obviously put a lot of time into writing her thoughts. I sent a thank you letter but would love to know who it was. Thanks, Jen, for your kind message. It was indeed a lovely compliment, and all the more precious for being utterly unexpected. Kate, I'm so pleased to know that you too have had the chance to contact your NWS reader. Thanks for your good wishes. Linda, how lovely to hear from you. The main celebration will be an afternoon tea for friends in one of the hotels on the promenade, but I'm sure there will be some bubbly too. Thanks for your good wishes. Moira, thanks for your good wishes. I can hardly believe that publication day is so close. It won't be long before we are celebrating the publication of your debut novel in a few weeks. Such a wonderful blog and so lovely to hear all that great news. So many congratulations and good luck with your great debut .